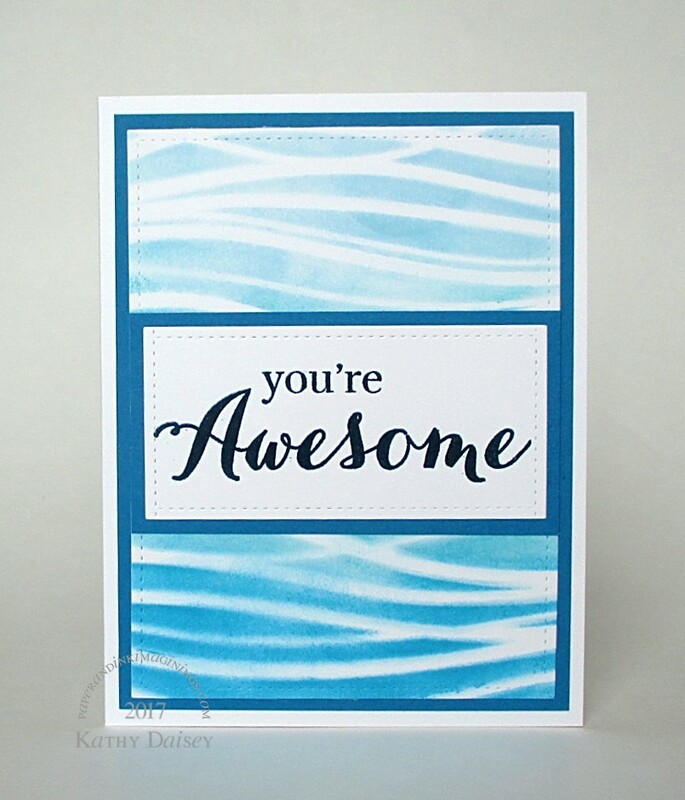 “You’re awesome” is one of my favorite kid compliments. Supplies: Stamp – Waffle Flower, paper – Neenah Classic Crest Solar White, Stampin’ Up! Pacific Point, inks – Tim Holtz/Ranger Distress Inks Tumbled Glass, Mermaid Lagoon, Peacock Feathers, VersaFine Deep Lagoon, dies – Lawn Fawn, stencil – Simon Says Stamp, embossing powder – Filigree Fine Art Powder clear. Categories: card, caring, encouragement | Tags: card, Lawn Fawn, Neenah, Ranger, Simon Says Stamp, Stampin' Up!, Tim Holtz, Tsukineko, VersaFine | Permalink.